I was originally going to make this post in Latin... but then I remembered that I don't know Latin. Then I thought about doing it in Pig Latin... but then I remembered that would be annoying. So let's just go with English (I've got a pretty good grip on that one). 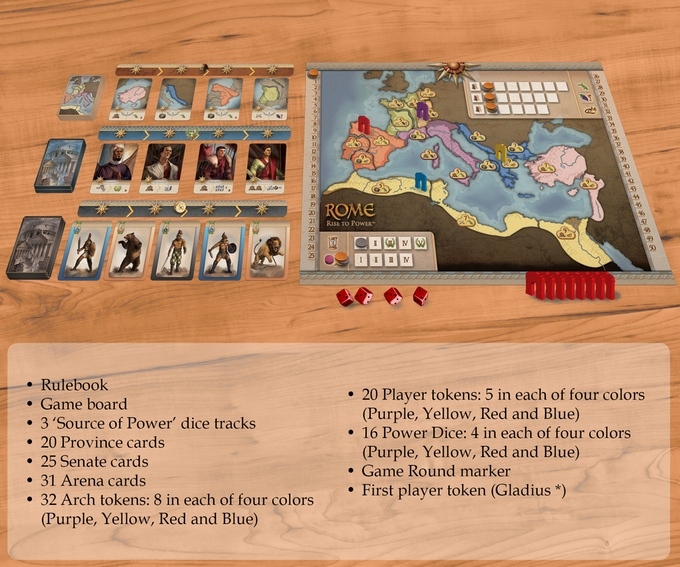 Golden Egg Games has launched a Kickstarter campaign for Rome: Rise to Power, their new dice game of Italian conquest. 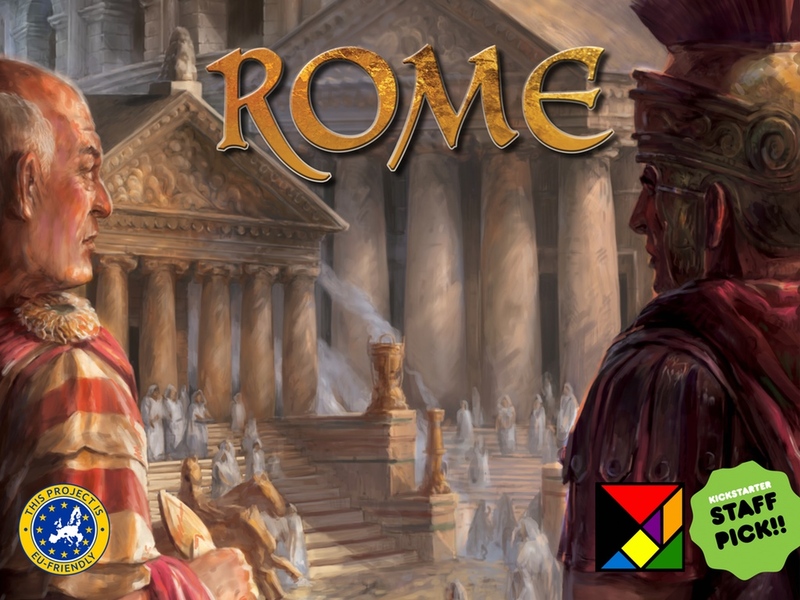 In the game, you play as the head of one of the four great houses in Rome that are looking to take over the Republic. You do this by utilizing the "Four E's." Expand the borders. Exploit your riches to supply the Forum. Exhibit your power by holding great games. Extend your influence by purchasing senators' favor. Pretty simple. But your opponents are going to be doing much the same. Only one can be in charge of one of the largest empires the world has known. The others might just end up with a couple dozen stab wounds. The campaign is about half-funded with still two weeks to go.